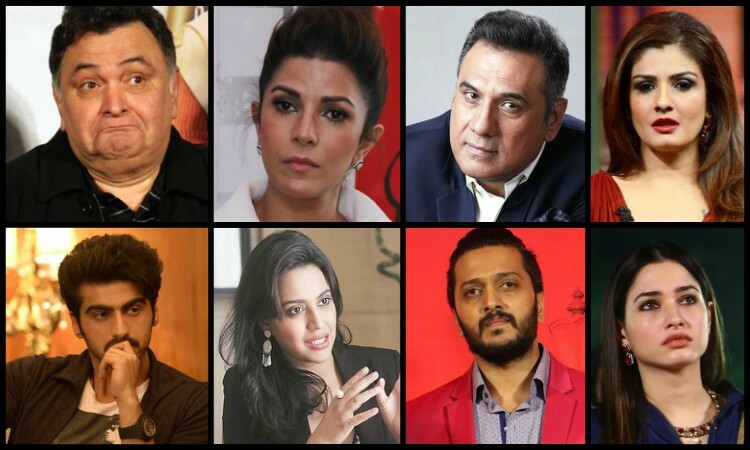 As the news of a fire at the Notre Dame broke out, Bollywood celebrities like Rishi Kapoor, Nimrat Kaur, and Arjun Kapoor among many others took to social media to voice their heartache on seeing the iconic cathedral in flames. A devastating fire that engulfed the Notre Dame, the 850-year-old Unesco world heritage landmark in Paris, was brought under control on Tuesday morning, while the Cathedral's main structure, as well as its two towers, has been saved. Riteish Deshmukh: This is a world tragedy Notre Dame -I have no words to express my sadness. To every Notre Dame lover - am so so sorry. Swara Bhaskar: Notre Dame heartbreaking! Tamannaah Bhatia: She's been around for over 800 years not just as a testament of our history but also a place for many that found their peace, hope, and faith in. This iconic monument is an inspiration to artists across the globe and it's really sad to know that humanity has lost Notre Dame today. Big B, Rishi Kapoor wish Karan Kapadia for 'Blank' Priyanka-Nick craving to be mommy and daddy? The singer reveals!